I’m fairly new to the extreme San Jose weather, and if you’re like me you need something to cool you down ASAP. I used the opportunity to go to Lucky and get chocolate ice cream. These ice cream bars are a steal for only $2.99. 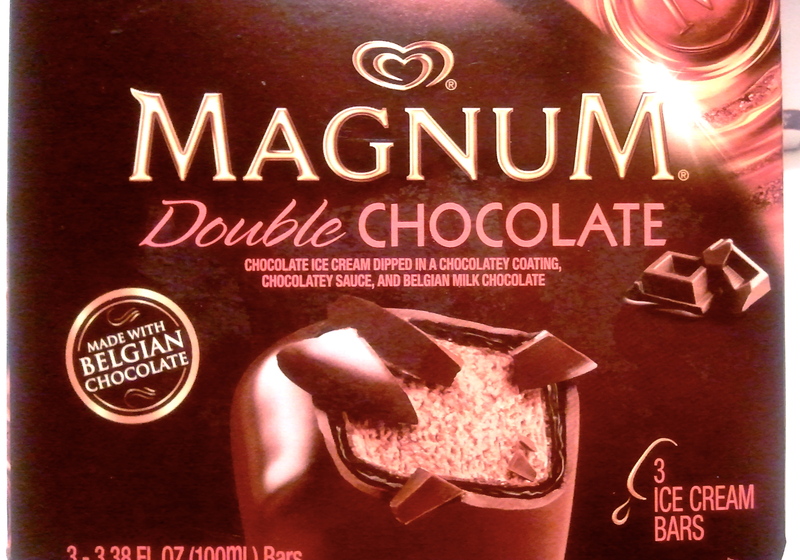 This entry was posted in Frozen Desserts and tagged Chocolate, Cooking, Food and Related Products, Frozen, Home, Ice cream, Ice cream bar on September 13, 2012 by azicooper. I’m fortunate enough to be living close to a Lucky grocery store because I can go for a quick stop and buy anything I crave for. After trying the chocolate créme pie, I wanted to go back and buy another dessert I saw in the dessert aisle. 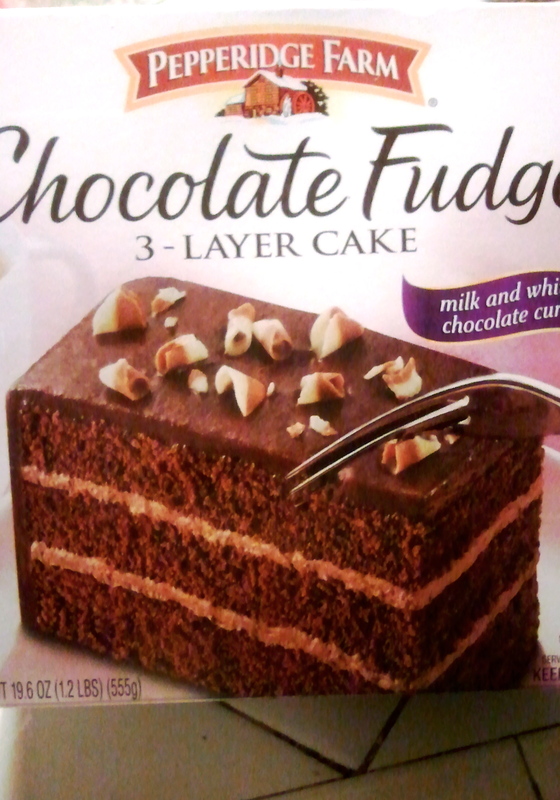 I opt for Pepperidge Farm‘s Chocolate Fudge 3-layer cake, which costs $5.39. This entry was posted in Frozen Desserts and tagged Cake, Chocolate, Chocolate cake, Cook, Dessert, Icing (food), Layer cake, Pepperidge Farm on September 13, 2012 by azicooper. Welcome back! 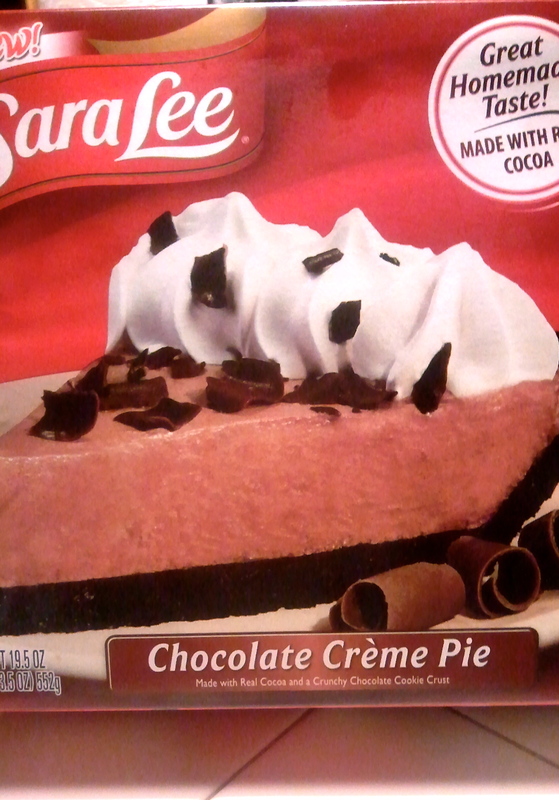 While shopping at Lucky, I wandered by the dessert section and stumbled upon this Chocolate Pie by Sara Lee. I was immediately drawn to this, not only by the presentation but the price. This wonderfully intriguing pie costs $5.48. This entry was posted in Frozen Desserts and tagged Baking and Confections, Chocolate, Cooking, Cream, Crust (geology), Home, Types of chocolate, Whipped cream on September 13, 2012 by azicooper.